Tim and Keith delivered a large number of football kits to children in Nepal as part of their expedition. 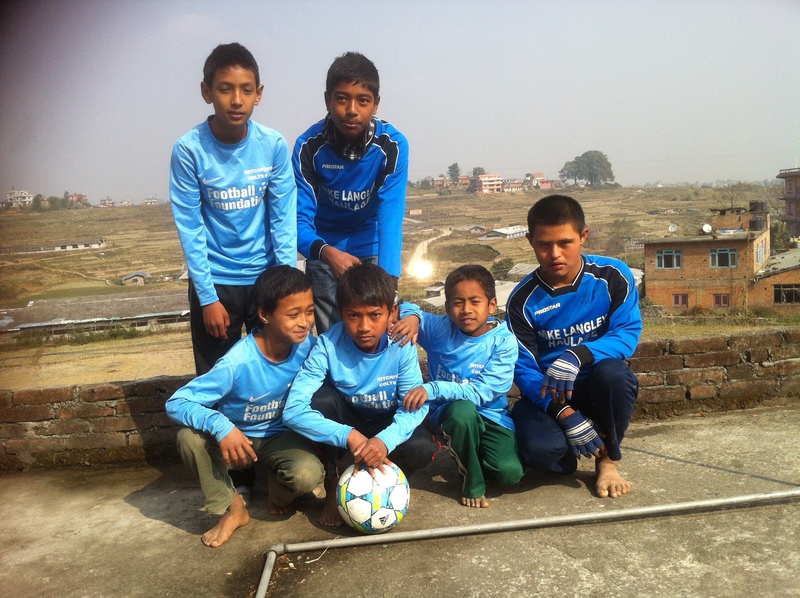 Below is a letter and a few photos just received back from Nepal. i hope you are fine and preparing christmas with family and friend.We are fine but little cold and no more guest. I hope you will help more coming future!!!! Babu and all the children form my village!!!! A version of the movie for all those watching on phones and iPads. Set to music – Tim and Keiths little walk. 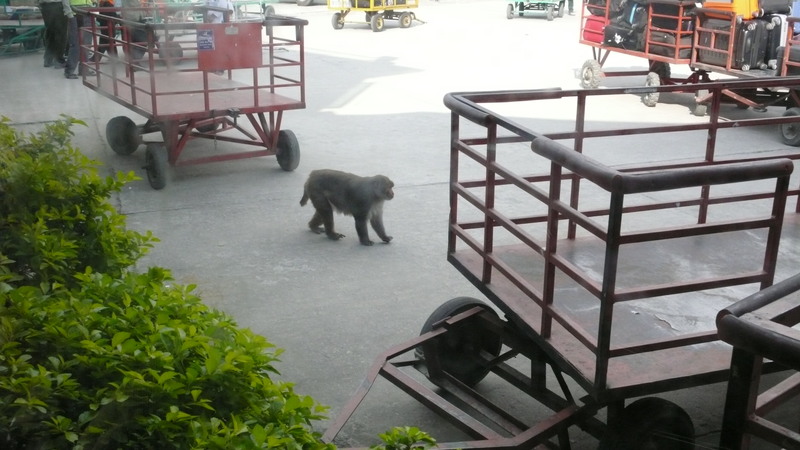 The plan today was to head for the airport about 11am for a 12.30pm flight. 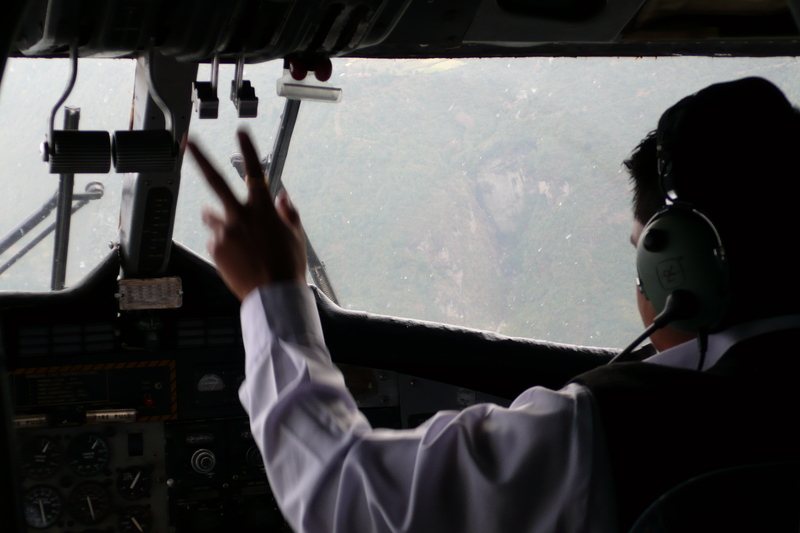 Being Nepal, that didn’t quite go to plan, and instead we flew about 3pm, arriving in Lukla just before 4pm, by which time it was starting to get dusk. 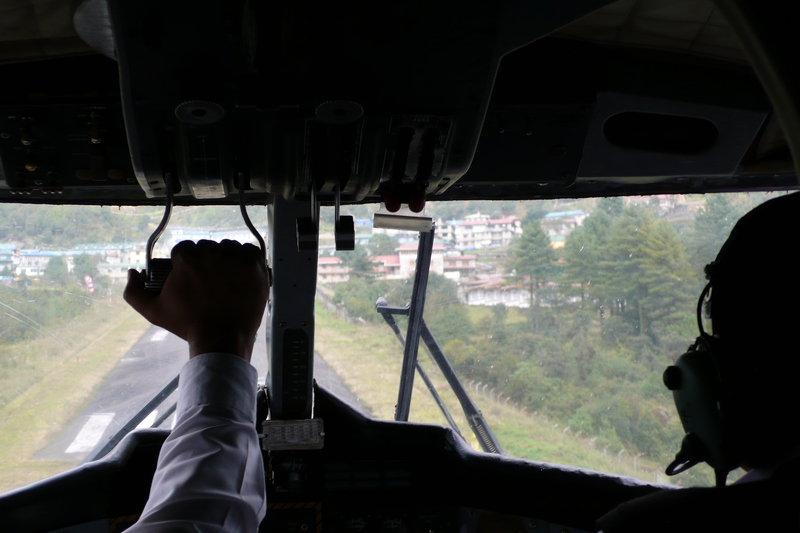 We were lucky though – we got the last flight out before the clouds rolled in and flights were cancelled. 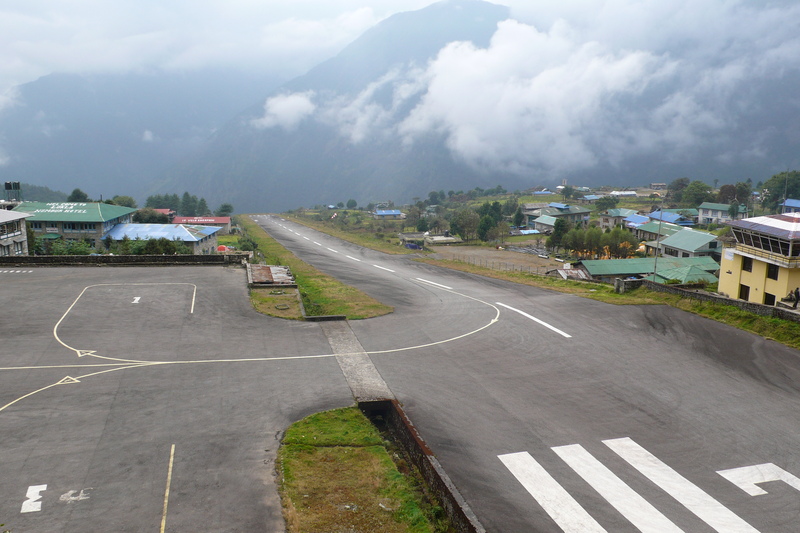 The flight is often regarded as the most dangerous in the world, with an airstrip that allows only one attempt at landing (sheer cliffs at each end). We had heard that the ride was a bit like a roller coaster. In reality though it was pleasant and smooth, with a pretty gentle landing. Within minutes of the start of our walk night fell like a stone. 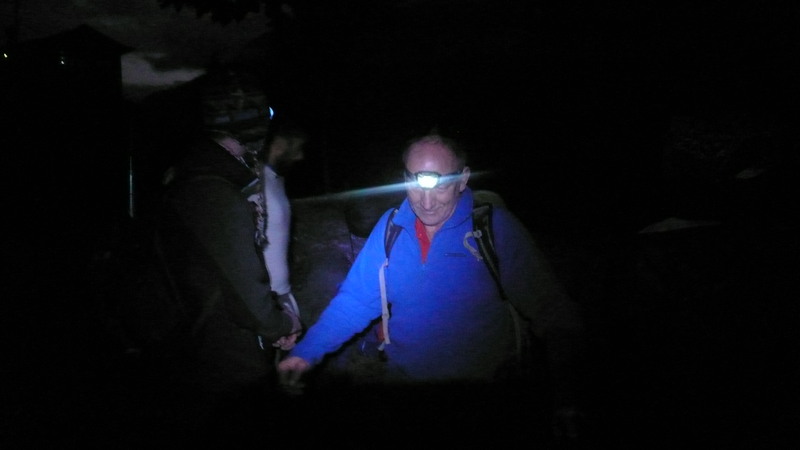 For all the planning we had done, we had not anticipated trekking in the dark. At this stage, close your eyes and imagine walking across a long, swaying suspension bridge, with torrential waters bubbling below your feet. Imagine you have no idea how far the drop to the river is, but know that it would be an unhealthy drop. Imagine your small headlight highlighting the occasional gap in the floor of the suspension bridge – welcome to the Himalayas. Apologies to everyone for going quiet this last week. We shall endeavour to put that right in the weeks ahead. Well, we escaped the mountain. Last Monday we were on the verge of hiring a helicopter, when all of a sudden the clouds cleared and a few flights started to get off the airstrip again. 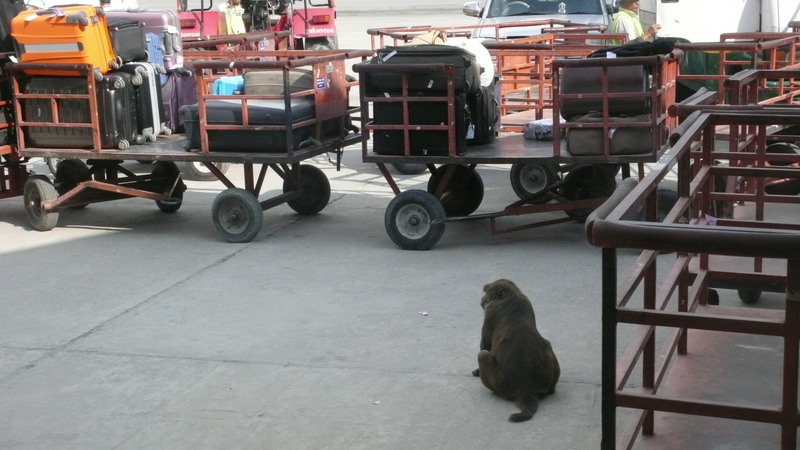 After a somewhat lengthy queue, we flew out at about 1pm and arrived 40 minutes later in a wonderfully warm Kathmandu. From there we headed to stay in the village home of Babu and Belku in Langol, where for the first time in three weeks we enjoyed the miracle of hot water – heaven. I will tell you more about Babu and Belku in a few days time, but for now let’s just say that their Homestay was just wonderful. Arriving home back in the UK was great. Seeing loved ones again was very special indeed. The English weathers been wet just about ever since, and we do miss the sun, but at least it is good to sleep in a soft and warm bed – minus 15 degrees at night was getting a tad tedious. 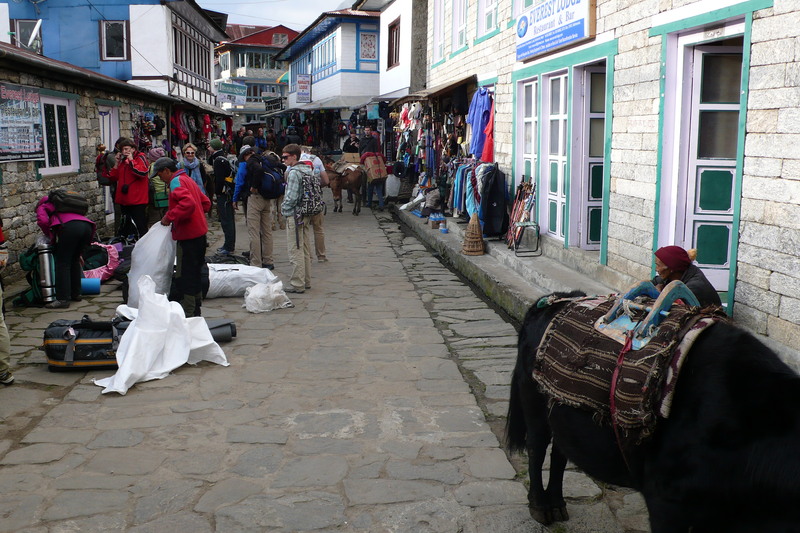 Healthwise, both Tim and I still have the “Khumbu cough”, and are hacking away quite nicely. I continue to awake at 4 every morning and am constantly tired. Give it another week though, and we will be back to our normal selves. Heading back to work this Monday was a real downer. Contrasting the miserable faces on the London underground with the warm faces of the poor of Kathmandu was astonishing. 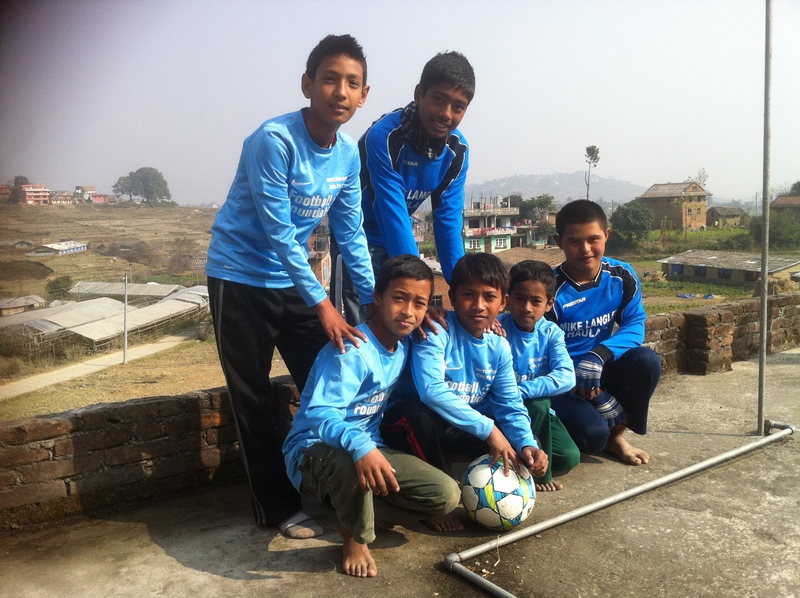 The Nepalese have so little, but they seem, as a whole, a million times happier. I’m finding the amount of trivia in our society particularly annoying too. 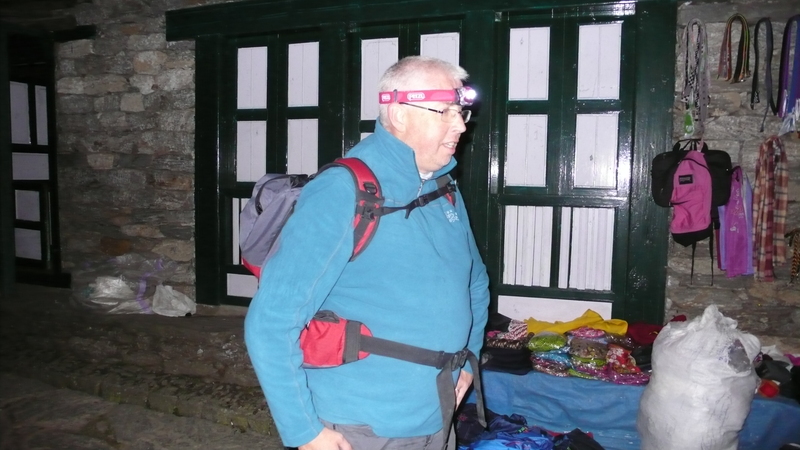 Living a simple life on a mountain for a few weeks makes you realise what is important and what is not – water, food and somewhere to sleep is what matters in life – who care’s what Miley Cyrus is up too! I’m turning into Victor Meldrew 8-). For me, there is also a huge feeling of anti-climax. We have put so much into this trip, and now it’s gone. The trick will be to recover our strengths for a few weeks and then start on something else – for me it will be getting fit for July 2014’s Mount Toubkal climb with my son James and a party of friends. For Tim and I this was an amazing adventure. It was harder than we could ever have imagined, but we managed it. Tim was the best walking partner anyone could ever have – a friend for life that is for sure. I know without his encouragement, that I would have not managed those last couple of miles to base camp -thanks mate. 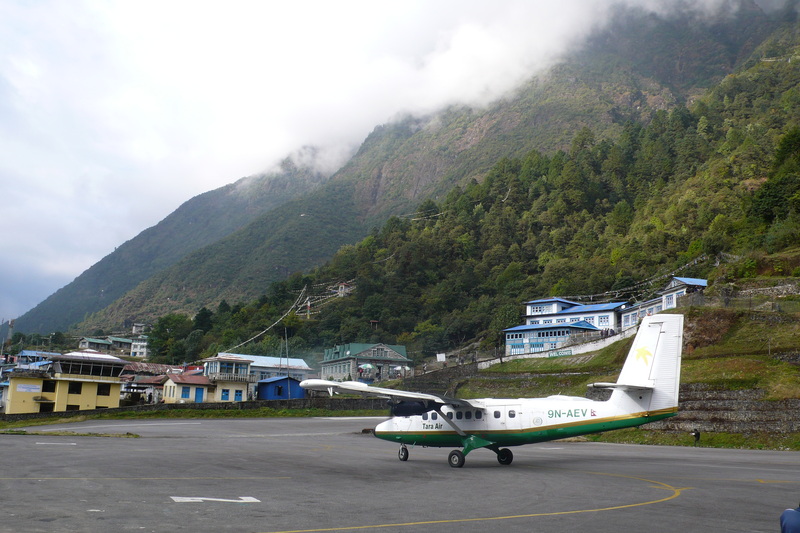 Keith and Tim are still at Lukla, unable to fly back to Kathmandu because of poor weather conditions. It looks like they have options for flights out tomorrow though (either by plane or helicopter) IF the weather improves, so keep your fingers crossed for them. Lukla is full of other trekkers in the same position and although they have a room, they are really looking forward to getting to a more comfortable place (especially one with the prospect of a warm shower! ).